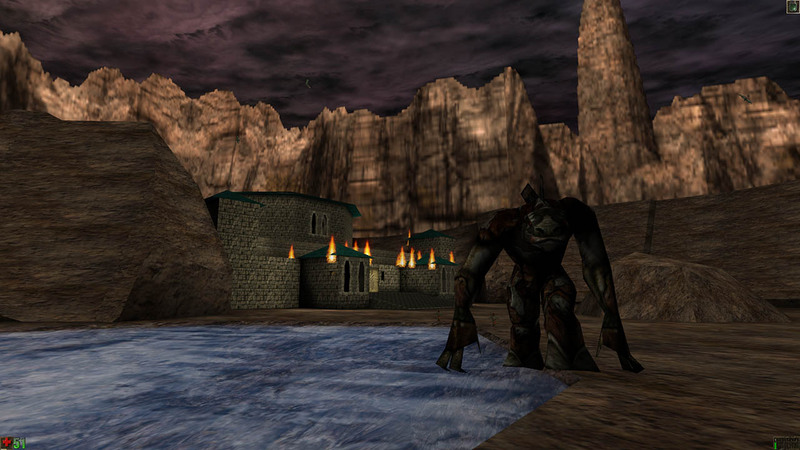 There is little to tell about Jeffery “Capp” Miner’s first and, as far as we are aware, only SP map release, other than it reflects the standards of its time – only 1 month after Unreal’s release in June 1999. 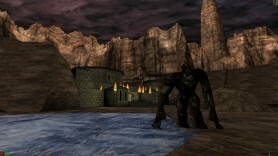 Perhaps it is slightly better than the average first mapping attempts were back then, and there is even a certain level of story implementation in the form of a handful of translator messages, but it is fair to say that there is nothing awe inspiring about the map even for those few who remember how to play it through the eyes of the 1998 player. Oh and almost needless to say in the case of such an old map that it is heavily infested by the 225+ TorchFlame actor bug as it uses that actor a LOT. This is the auto-generated forum topic dedicated to Rajal Castle.